Quality round dining tables are some of the most eye-catching and attractive furniture units that will instantly freshen up an interior of your kitchen or dining room . Usually made from wood or tempered glass, such tables are also believed to boost communication and create friendly atmosphere. Yet, sometimes, going with square and rectangular models is more practical. And if you are still wondering whether or not you should opt for quality round dining tables, here’s a checklist to put you on a right track. Round tables are intended for relatively small number of seaters and will be a great buy for a family with one or two children. If you plan to accommodate 6 or more seaters, going with an oval or rectangular dining table will be a better choice. Quality dining room tables, usually approximately 1,5 m in diameter, look fantastic in small dining rooms. Even if you have to accommodate lots of seaters on occasions, the problem can be solved by simply moving closer together – which is not so easily achieved if your dining table has rectangular shape. Round shape is considered more safe: the absence of protruding elements and sharp corners ensures no one gets hurt. Note that quality round dining room tables made of glass should have edges with rubber lining, to protect toddlers in case they run accidentally against them. Sometimes round dining room tables are just the most obvious solutions to a problem of unusual room shapes and awkward placements. In general, it’s easier to walk around round dining room tables, which ensures more comfort. This point is very important, as quality round dining room tables may influence how we perceive the entire room in question. If you own a set of single leg dining chairs on a swivel or rotating base, they will match round dining room table perfectly – don’t miss the chance to create an impressive dining table set by adding just one round-shaped element. Choose single leg quality round dining room tables, for best effect. 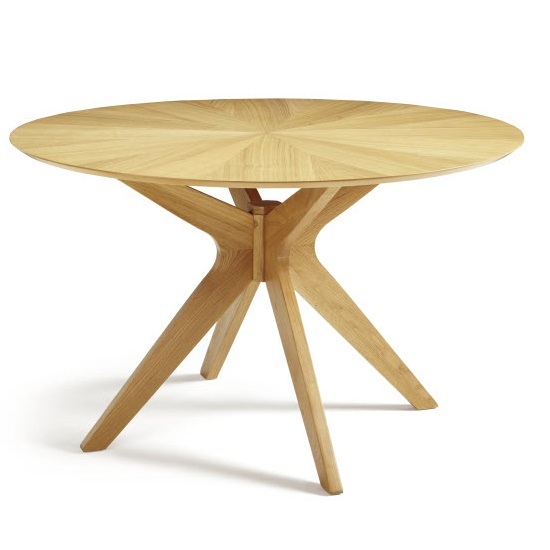 Also, don’t forget that a lot of high quality round dining tables are extending, so if your dining room or kitchen space is very small, consider this option, especially, if you have to accommodate more seaters on occasions. Final word of advice, regardless of which dining tables you choose – rectangular or round ones, always shop at big and reputable furniture stores, such as Furniture in Fashion . Apart from offering you high quality units from trusted and reliable manufacturers, the store has its own couriers and vehicles, which ensures fast delivery to every corner of the UK. Another important perk of shopping with this platform is the fact that 90% of items it advertises online are physically available in stock, plus you can always check them out personally in a company showroom in Farnworth.